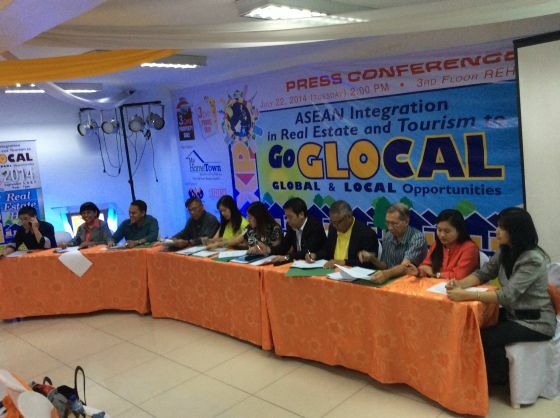 The theme for REHub Expo 2014 is “ ASEAN integration in Real Estate and Tourism to Go Glocal, an opportunity for both GLObal and local business investors.” For an opportunity to look at a future of safe and borderless, country to country, business to business property transactions and tourism opportunities. It gives us the great pleasure to invite you to the “ASEAN INTEGRATION IN REAL ESTATE HUB and TOURISM EXPO 2014” (REHub Expo 2014). 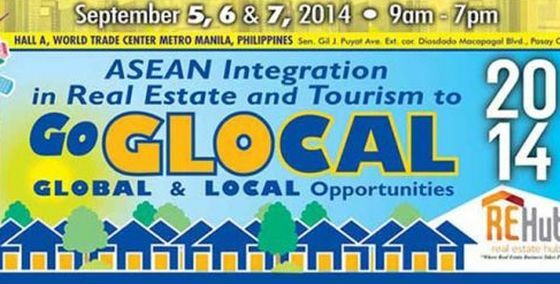 REhub Expo 2014 is a 3-day real estate and tourism event scheduled on September 5,6, & 7, 2014 at the World Trade Center Metro Manila ( Sen. Gil Puyat Ave., corner Diosdado Macapagal Blvd., Pasay City from 9:00am to 7:00pm daily. REHub Expo 2014 is the largest gathering of Real Estate and Tourism businesses in the country today. Unlike other real estate events, REHub promises to be a unique melting pot of the various real estate developers, associations, organizations, manufacturers/suppliers and major tourism industries including related services locally and internationally with the expected participation of counterparts from invited member countries of the ASEAN. The ASEAN integration is being participated by 10 ASEAN member countries ( Singapore, Philippines, Thailand, Indonesia, Malaysia, Brunei, Cambodia, Laos, Myanmar and Vietname ). If you join as one of the exhibitors, you will get invaluable access to breakthrough ideas and products as well as emerging markets that are only featured in such exclusive events. The business-matching opportunities will be limitless given such diverse line-up of exhibitors and participants. Attendees to the REHub Expo include local and foreign property buyers, industry practitioners and experts, and a lot of tourists looking for the best holiday opportunities in our part of the world. The EXPO will showcase property developers and their best projects: from economic housing projects, mid-rise to high rise condominiums, town houses, subdivision projects, commercial and retail as well as hotels, leisures and resorts including government and private tourist destination spots all over the Philippines. Participating exhibitors will also feature new home design and building technologies, construction materials and the latest in dwelling design options available in different countries. Local and foreign hotels, leisure complexes and resorts will also feature their tourism and travel products and services.